What's the perfect way to brighten that special day? 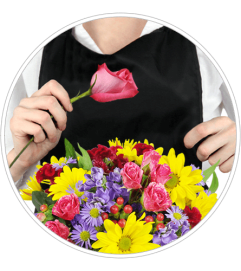 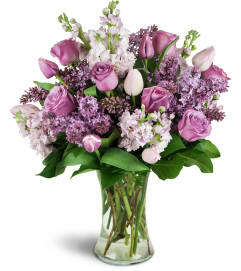 Show someone you care with our Special Day Bouquet! 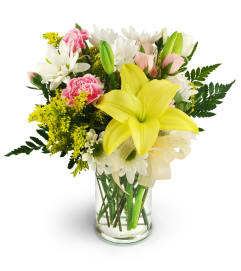 With its pretty pink roses, sunny yellow freesia, and soothing white lilies, this cheerful bouquet is sure to make any occasion special. 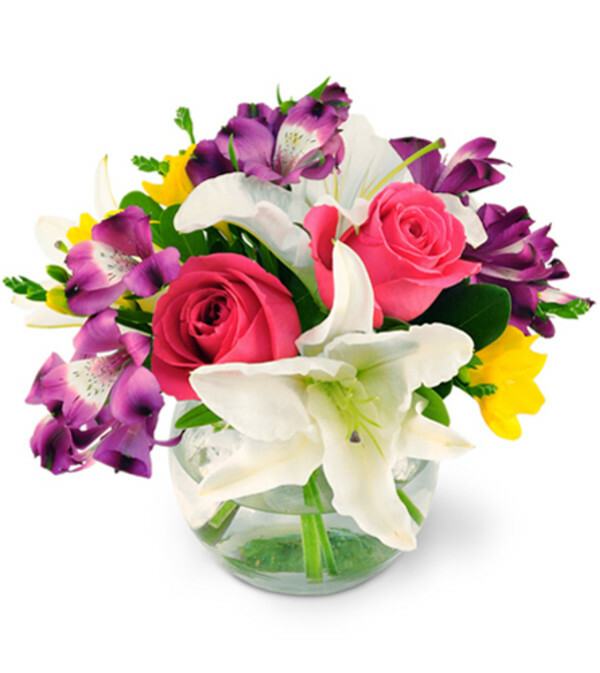 Pink roses, alstroemeria, freesia, and lilies are expertly arranged in a cheerful bubble bowl.